CELEBRATING the voice as an instrument of beauty has been the joyful mission of Coco’s Lunch since it first came together in 1994. This sixth album, recorded at shows in Sydney, Brisbane, Hong Kong and the 7th International Taipei Choral Festival, breaks a five-year drought for devotees of the female vocal quintet. 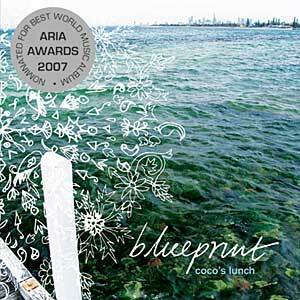 Three earlier albums, including A Whole New Way of Getting Dressed (2002) received ARIA nominations. Blueprint vocals may call to mind albums by Tiddas, but the use of instruments is confined to percussion and Nicola Everleigh’s flute — an album highlight on the slower, reflective Fugue. Lisa Young’s Thanga employs South Indian vocal percussion in the manner of Sheila Chandra. The vitality, exquisite control and deeply satisfying harmonies again demonstrate these are superb musicians. Breathing life into thoughtful lyrics, they prove the versatility of the voice. In short: Definitely worth singing their praises. This entry was posted in CD REVIEWS and tagged Coco's Lunch, Lisa Young, Nicola Everleigh, Sheila Chandra. Bookmark the permalink.